Having established Peter as Pastor of the Apostles, he instructed him to "Feed my sheep" (John 21.15-17). So, St. Luke informs us, at the Feast of Pentecost, " . . . Peter, standing with the eleven, lifted up his voice and addressed them . . ." (2.14). Antiochan tradition notes that after Peter&apos;s release from prison (Acts 12), he is in Rome until the Claudian expulsion of the Jews (AD 49), that ended with Nero&apos;s revocation of the decree in AD 54. Having been Antioch&apos;s first Bishop, St. Peter returns to Rome where he is executed on October 13, AD 64 on the occasion of the Dies Imperii of Emperor Nero. This is the faith of the fathers! This is the faith of the Apostles! So we all believe! Thus the Orthodox believe! Anathema to him who does not thus believe! Peter has spoken thus through Leo! The ancient church has inculturated throughout the world, and organized early in five geographical areas: Rome, Antioch, Alexandria, Constantinople and Jerusalem. This has led to the growth and development of 24 ancient churches and liturgical traditions (the most recent is the Anglican Usage) all governed by their own Patriarchs and bishops in full communion with the Bishop of Rome (CCC, 813, 845, 1200 - 1206). The visible head and source of unity of the One, Holy, Catholic and Apostolic Church of Jesus Christ is the Bishop of Rome and Successor to St. Peter; he is universal pastor to the entire Catholic Church (CCC, 882), but he is Patriarch of only the Latin Rite. All other expressions of the Christian religion have splintered from this one foundation (CCC, 817-819). The universal Church cannot be conceived as the sum of the particular Churches, or as a federation of particular Churches. It is not the result of the communion of the Churches, but, in its essential mystery, it is a reality ontologically and temporally prior to every individual particular Church." Jesus had promised the Holy Spirit to lead the Apostles and their successors into all Truth (John 16.13). As an outgrowth of Israel, the Christian Jews inhereited the Scriptural tradition of their people. It was not until the Council of Rome (381 AD) that the Christian Bible came into existence. and continues today. St. Jerome was commissioned by Pope Damasus I in 383 AD to translate a "vulgar" or "common" Bible into Latin (called the Vulgate). This was based upon the 46 Greek texts of the Jewish scriptures (the Septuagint) and included the 4 Gospels, Acts, 14 Letters of St. Paul, the 7 Catholic epistles and the Apocalypse (Revelation). The Septuagint was translated in Alexandria for Greek-speaking Jews roughly 200 years before Jesus and presented to Ptolemy by Jewish scholars for the Alexandrian library. However, the Pharisees despised anything "non-Hebraic" and rejected the Septuagint in use by Christian Jews for use in synagogues. The question of a canon ("standard") of Scriptures to be read at Mass was settled in the Western Church by two Councils: Florence (1439, to attempt to reunite with the Orthodox) and Trent (1545, in response to the Protestant rejection of the Vulgate). In the English-speaking world, Catholic monks had translated the Vulgate into English in various places by the 7th century. The "official" English version is the Douay Rheims Bible (1609/1610) to aid in the efforts of the Counter-Reformation. First Council of Nicea, (325) - condemned Arianism, adopted the Nicene Creed. First Council of Constantinople (381) - revised the Nicene Creed; affirmed the Deity of the Holy Spirit and full humanity of Jesus. Council of Ephesus, (431) - condemned Nestorianism and Pelagianism; affirmed the Virgin Mary as the "Mother of God" (Greek, Θεοτόκος) and confirmed the necessity of divine grace in Christian conversion. Council of Chalcedon (451) - condemned Monophysitism; affirmed the two natures of Christ, human and divine; adopted the Chalcedonian Creed and affirmed the universal pastorate of the Bishop of Rome. This and all following councils are not recognized by the Oriental Orthodox Church, who persist in schism. Second Council of Constantinople (553) - reaffirmed decisions and doctrines by previous Councils, as errors still persisted in both East and West, accompanied by conflict between Pope Vegilius and Emperor Justinian. Third Council of Constantinople (680-681) - condemned Monothelitism; affirmed the human and Divine will of Jesus Christ. Second Council of Nicea (787) - restoration of the veneration of icons/ sacred images and end of the first iconoclasm. Incredulity is the neglect of revealed truth or the willful refusal to assent to it. Heresy is the obstinate post-baptismal denial of some truth which must be believed with divine and Catholic faith, or it is likewise an obstinate doubt concerning the same; apostasy is the total repudiation of the Christian faith; schism is the refusal of submission to the Roman Pontiff or of communion with the members of the Church subject to him. After centuries of debate and deliberation through Church Councils, the first major division occurred in 1054 between Eastern and Western bishops that resulted in the Orthodox ("right doctrine") and Catholic ("Universal") definitions. Consequently, over time, the Orthodox churches have organized into 14 independent churches. Led by the Ecumenical Patriarch of Constantinople, they are considered "sister" churches to the Catholic Church, though not in full communion (Catechism of the Catholic Church, 838). Various attempts have been made since the initial division to reunite the fractured Churches. The Council of Ferrara-Florence convened on several occasions to attempt to dialogue and heal the schism: Sept 17, 1437 to January 1439 (Ferrara); January 1439 to Apr. 25, 1442 (Florence); Apr. 25, 1442 to 1445 (Rome). All in the Church must preserve unity in essentials. But let all, according to the gifts they have received enjoy a proper freedom, in their various forms of spiritual life and discipline, in-their different liturgical rites, and even in their theological elaborations of revealed truth," (Unitatis Redintegratio, no. 4). At the Council, Pope Paul VI and Patriarch Athenagoras I officially cast the previously held anathemas of the two communions "into oblivion." This began the process of healing. Pope Francis stated recently at the Feast of St. Andrew in Constantinople, to Patriarch Bartholomew I, that his offer of reunion and communion is only on the basis of a common confession and unity does not require uniformity. Fr. 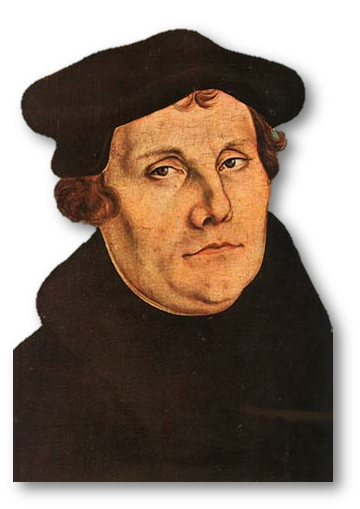 Ulrich Zwingli -- his Swiss reform birthed the Anabaptists or "re-baptizers" who rejected infant baptism. John Calvin -- a French attorney; he was the architect of the new "reformed" theology and author of the Institutes of the Christian Religion. Fr. John Knox -- a Scottish priest; founder of Presbyterianism and student of Calvin; author of the Book of Common Order of the Kirk of Scotland. It was in this milieu that King Henry VIII requested to divorce his wife and after being denied by Pope Clement VII, declared himself head of the Church of England by Act of Supremacy in 1534. Archbishop Thomas Cranmer (a student of Calvin) was the "reformer" of the English Mass that became The Book of Common Prayer in 1662, rendering it invalid as an authentic Catholic rite. Thus, began the German (Swiss/ Dutch) and English schisms from the Catholic Church. However, the nearly 40,000 non-Catholic Christian divisions that followed differ on many viewpoints. Yet, the Catholic Church maintains that these groups of Christians by their baptism still have an imperfect relation to the one Body of Christ and though in schism, are considered fellow Christians. Since the Great Schism, the Catholic Church has convened 14 additional councils considered ecumenical and the Orthodox Churches have held "Pan-Orthodox" synods , the most recent of which was held in June 2016. At the Second Vatican Council, the Orthodox and Oriental separated churches along with many representatives of Protestant denominations were invited as observers to the Council as a pastoral initiative by Pope St. John XXIII to open dialogue with the modern world. The fruit of these invitations was ecumenical dialogue with various religious groups seeking common ground for the purpose of common mission in the world. These theological meetings have attempted to recognize and promote areas of common belief. Further, among various Protestant sects, a common calendar and revised common lectionary was produced to further unite the various divided sects and aid in ecumenical unity with the Catholic Church. However, while we believe that the Church of Christ subsists in the Catholic Church, we recognize God&apos;s grace and the power of the Holy Spirit to be active outside her boundaries (CCC, 870). We recognize God&apos;s activity wherever the Holy Trinity is adored, baptisms and marriages performed, and the Holy Scriptures believed and taught --among the Orthodox, Protestants and seekers of Truth (CCC, 819). In the words of St. Benedicta of the Cross, "All who seek for Truth, seek God -- whether or not one knows it." In the words attributed to St. Augustine, "All Truth is God&apos;s Truth." In light of the Ecumenical movement birthed at Vatican II, the Catholic Church dialogs with her Orthodox sister churches, the ancient Eastern Apostolic Churches, Protestants, non-Christian religions and the irreligious for the common good of all people.